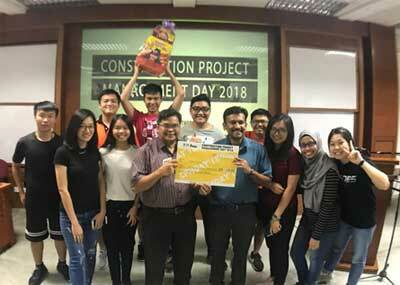 A group of TAR UC's Bachelor of Construction Management and Economics Year 2 students went on an interactive adventure at Universiti Sains Malaysia ('USM') Penang on 29 March 2018, and managed to scoop up third place finish in the Treasure Hunter Competition. The event, held in conjunction with the Construction Project Management Day 2018 organised by USM Penang, saw TAR UC and four other institutes of higher learning racing to complete a crossword puzzle by playing mini games and obtaining the clues and pictures to fill in the puzzle. 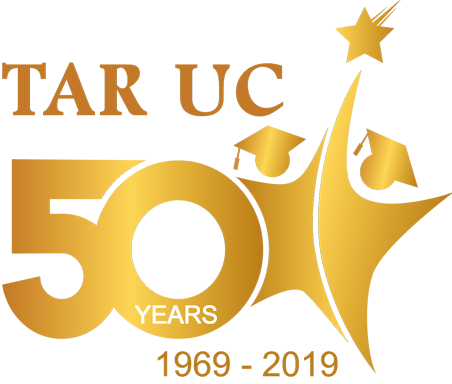 Each institution fielded two teams of five students, and one of the teams from TAR UC's Faculty of Built Environment ('FOBE') came in third to take home RM180 in prize money and a gift hamper. Siow Lee Kuan, one of TAR UC's students who participated in the competition, expressed her surprise in winning third place as they entered the competition with no expectation. "It was the first time we heard about this competition, so there was no expectation but in the end we are quite happy to experience a positive outcome," she said. On the objectives of the competition, Lee Kuan said it was to help students learn in an entertaining manner. "The contents of the mini games and crossword are related to our studies such as frameworks and super structures. It is an interesting way to help us remember what we have learned in class. In addition it fosters effective communication and teamwork especially during occasions when we ran into a difficult question," she elaborated.